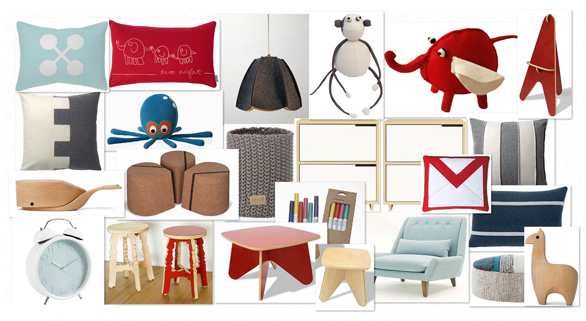 I found these toys in the 2Modern product line on Olioboard and they sparked this design for a toddler’s play room. I kind of wish one of my friends would have a baby so I would have a reason to buy these cute toys. Haha. Let me know what you think of the overall look. In this design, my major focuses we’re soft textures, (washable items are always a good bet), furniture fit for children and not overly pricey( lets face it, kids can be a bit destructive and messy), and loads of storage for toys and supplies. Have you designed a play space for your child? What do you think are key tips to keep in mind when designing for children? If you have additional tips, we want to hear about them.